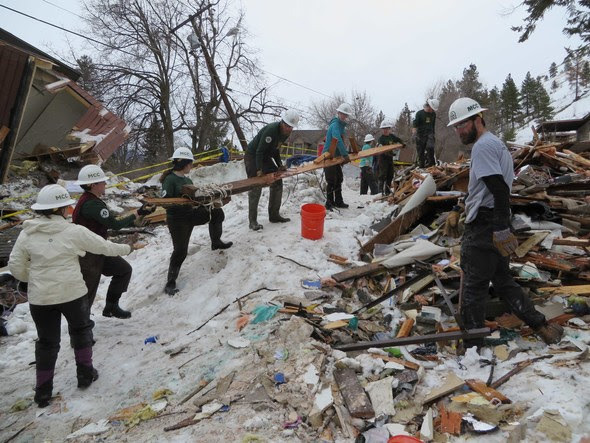 AmeriCorps members with the Montana Conservation Corps (MCC) responded to a deadly avalanche that occurred outside of Missoula, MT on February 28, 2014. AmeriCorps members were a key part of the full response effort, working alongside hundreds of volunteers assisting with debris removal. Check out the latest news coverage on ABC FoxMT and KPAX. AmeriCorps NCCC Southern Region deployed a composite team of 7 AmeriCorps members to work with the American Red Cross Capital River Chapter. They are working out of the chapter office in Flowood, MS, performing disaster assessment, client casework, and other support in several small communities throughout central Mississippi affected by last weekend’s floods. CNCS continues to be represented by local AmeriCorps program Washington Conservation Corps (WCC), which is housed within the state’s Department of Ecology. 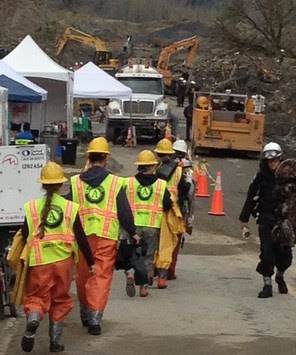 The state has deployed 45 AmeriCorps members and 9 staff members to assist with resource delivery and base camp operations. FEMA has also deployed 42 AmeriCorps NCCC FEMA Corps members to support administrative operations. In addition, 4 AmeriCorps members with the American Red Cross have deployed. The America’s PrepareAthon! website is live! We are excited to share downloadable materials with you and your employees, members, volunteers, and communities to prepare for disasters. Please visit Ready.gov/prepare and register for the national day of action, which is April 30, 2014. If you already have something planned, register your day of action! For information on new disaster events, please visit FEMA’s daily situation report. This online network provides a place to share what works at the intersection of disaster services and national service. To learn more about how to prepare your family and community, please visit Ready.gov. Disaster-specific resources and referral information. The Disaster Services Unit (DSU) of the Corporation for National and Community Service (CNCS) has agency-wide responsibility for coordination of CNCS disaster services activities. The DSU provides expertise, ongoing support, and access to a network of dedicated volunteers. CNCS subscribes to the belief that all disasters are local. Our focus is on enhancing and adding value to what already exists in communities and infrastructure — working in partnership with state service commissions, local government, nonprofits, and faith-based organizations. This service is provided to you at no charge by Corporation for National and Community Service.